Hey, it’s the time of year most massage therapists try to take a few days off, before the deluge of Christmas gift certificates and post-holiday injuries start piling up on the books. I like to practice something with therapist employees and therapist friends. It’s something that shouldn’t be so rare but we often forget to do it. It’s the where-am-I-going-in-the-next-year game. This shouldn’t be that hard, but I find many people in this field don’t set goals because they are bummed out if they don’t meet them. But goals are just that – something you shoot for in basketball. The number of attempts does not count; it’s the baskets. So we will benefit from having personal goals, professional goals, income goals, housing goals, fitness and massage goals. Who’s up for some thinking ahead? With employee massage therapists, I’ve met some resistance because when people are struggling, their gaze drops from the horizon. But this is the best time to set goals, little to large, because scoring will develop confidence. Forget the attempts and count the baskets! Try setting small goals. One of my favorite therapists complained that she felt like she did the same massage all day. Well, that will drive anyone crazy. We talked and she said she wanted to learn some new moves. Well, there are great ways to do that. Classes, sure, but how much do you retain with just short practice sessions during class? Take the class with a friend and practice that night and the next day. Retention of techniques goes up tremendously. Plus you get some work on your own tired body. I wish classes had refreshers in a few weeks so people could go over what they learned and see the amount that has stuck or been lost. When I do classes or training, I offer that. The less expensive way to learn is to trade with another massage therapist. Now I’ve had people come and get massages from me solely to copy techniques later, and they do not do very well. The missing step here is to tell the person you want to learn and practice some of the moves done on you. That takes feeling the technique, as well as getting off the table to really see what is being done with a test-body. Sound like school? Yes. But at some clinics/spas those Tuesday morning schedules are a great opportunity to hold practices – if others are willing to share. Sometimes you just need to find the right people. In my experience, therapists who “steal” moves from the prone position do a poor and ineffective copy of the original. And those who say they want to learn do much, much better. 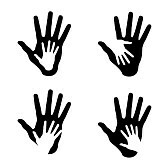 This entry was posted in Building Your Practice, Find Touch Announcements, Massage Techniques and tagged massage classes, massage practice, massage therapist, practice-building on December 28, 2015 by Sue Peterson. Sometimes a client just appears looking for a massage. Literally a walk-in. What can a therapist do to turn a lookie-loo into a booking? These potential clients may be trying to size up you and your spa. Offer a quick tour. If they like you and your spa, but are reluctant to make an appointment, offer a special. What’s a special? I can do a half-hour massage for the regular price and if you like it you can extend it to a full hour at a discount of $10. I can offer you a half-hour massage for a $10 discount and if you want to extend to an hour the discount will be $15. I can schedule you today at 3 p.m. for a deep tissue session. We can do an hour or 90 minutes…? Are you way too busy today? Offer advice on getting an appointment at another time. I can usually get people in with a few days notice. What about this time later this week? Showing potential clients around, answering a few questions and being friendly can turn the walk-in prospect into a client. Try it. It works! After all, the walk-in client is there because they want a massage. This entry was posted in Building Your Practice, The Business Side of Massage, Touchy Situations and tagged clients, massage practice, massage therapist, practice-building on November 15, 2015 by Sue Peterson. On a massage therapist’s first day at work, the training starts with how to say hello to a client. Easy? Oh heavens. I have had massage trainees stare at the floor. Roll eyes in a complete circle looking everywhere but at the client. Worst, a brief nanosecond of eye contact followed by staring over the head. How would you feel to be greeted these ways? Would you go into a room, take your clothes off and figure everything is going to be fine? Yes, sometime before massage therapists become overnight successes because of their fabulous hands, they need to learn the art of eye contact. Yet for many of the massage community, we’re introverts, looking for a quiet place to work in harmony. 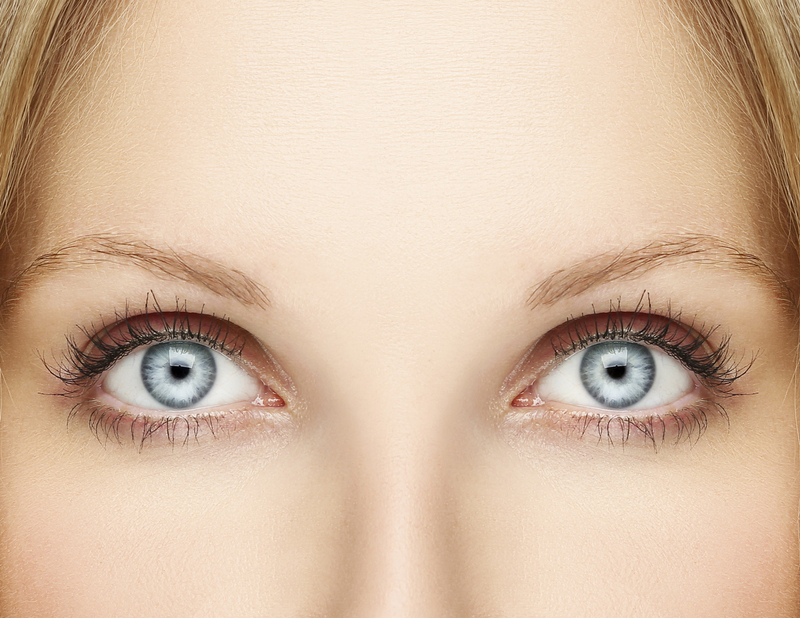 We didn’t think about developing eye contact because we are not social divas, by and large. That first day of looking a stranger in the eye can bring out insecurity for a walk right across your face. Here is the really bad news. When you cannot look someone in the eye they don’t see shy and humble. They see sneaky, dishonest, and even incompetent. Fear or loathing. Aloofness. Distance. Not the first impression anyone would want to make with a client, ever. The last impression a therapist wants is a wrong one. With two or more trainees, it is fairly easy to practice greetings with each other. You do not know each other, but you are in this life raft together. We will go over it about a dozen times, and toss out those little things in our expressions and eyes that say the opposite of the greeting we speak. It takes some doing especially when the new trainee is solo. One of my solo newbies was getting great feedback on her massage, but her surveys indicated that her greetings were getting in the way. The telling question – would you request this person again – was not going her way. If the survey says the massage was great, what to do? We had a talk over mocha bobas, a drink invented by people who want to make me feel old. Great! I love my job! Fantastic. How are you doing with building your client list? I’m getting some people back. Not as many as I thought I would. It seems to take time. Is there anything that you think would help you? The dreaded open-ended question. A pause. This is the most uncomfortable time. But this new therapist was intelligent and gifted. She knew what I was asking. I think I need more help with greetings. Let’s practice now. Go up to the barista and ask for something more. Look her in the eye. Greet her like a client. See if you can connect with just your eye contact. She tried it, and came back. That was tough. I felt like I was staring at her, invading her space. It was very uncomfortable. I don’t like it. Suppose that is the only way to get your coffee, or anything else in your life that you want. Can you make eye contact? Can you practice enough in the next week to get comfortable with it? Yes, it was an assignment. When we met for coffee the next week, her discomfort was less, her confidence more. We can still both be shy, I said, we just have to learn how to connect with our eyes and our hands. This entry was posted in Building Your Practice, The Business Side of Massage, Touchy Situations and tagged clients, massage jobs, massage practice, massage therapist, practice-building on October 4, 2015 by Sue Peterson. Most successful massage therapists come to a time in their careers when they think about going out on their own. They have worked in spas, medical offices or chain clinics and they have an itch to move out and become independent. Then the question comes up. Why risk all in business? Why not seek out another therapist to partner with? It’s a natural question and the list of advantages sounds enticing. Half the workload, shared space, some extra hands to help. I posed the question to my business advisers – a successful small businesswoman, an accountant, a private practice acupuncturist and an attorney: Would a partnership be a good idea? Businesswoman: It sounds good at first, but partners often don’t do half of the work. They don’t want to clean, or they don’t want to do books or pay for bookkeeping, or they want to take lots of time away from the business. Then when it comes to splitting profits, if there are any, they want half for less work. You will spend more time fighting about issues than just making decisions and implementing them. Accountant: Partners are great if they have the same work ethic you have. I have never met someone with the same work ethic as me. I have seen people who blow things off if it is inconvenient, or worse, blow off the customers. I work alone. Acupuncturist: I took on a partner in a real estate investment because I could not afford it on my own. The partner has been extremely difficult to work with. He was supposed to be a silent partner, with me managing the investment. He’ll decide he needs to check on things and comes in and meddles. As soon as he causes problems with the employees, he disappears and leaves me to fix the problems he creates. I have tried two times to buy him out. Even though it is a good deal for him, as he would get his investment back plus some appreciation, he has backed out at the last minute because he thinks he might be missing out on some money. I just want him out for my peace of mind. Attorney: If more than half the people with all the best intentions in the world – who know each other intimately – cannot make marriages work, why would you think partnering with someone else would work? I have to admit I wasn’t prepared for a trip to the dark side of partnerships when I asked my experts. First, I was very glad I asked the question. Second, I took the partnership idea and sent it sailing into the circular file of doom. Partners? It’s a great idea. Has any massage therapist out there managed to make it work? This entry was posted in Building Your Practice, Self-Care, The Business Side of Massage and tagged freedom to practice, massage practice, massage therapist, practice-building on May 4, 2015 by Sue Peterson. Massage therapists are not all alike when it comes to their understanding of how to build a practice. I have heard lots of explanations as to why bookings stay low, very few explanations of why they are full. How to develop a practice is an art just as much as massage. It requires some close self-observation and sometimes an outside hand to help therapists along. Often when I catch an episode of some show like Salon Take-over or Bar Rescue or Hotel Impossible, I am reminded very quickly of what it takes to have a consistent practice. If you catch one of these shows the clichés are numerous. The owner wants help to make their business pay, but they don’t want to hear anything critical of their skills. The help is interested in making money, but stymied and discouraged by unsolved problems. Often there is a sacred cow: a lazy staffer or manager whom the owner wants to avoid confronting – or an unworkable idea that the manager/owner won’t drop. The bottom line is that the bank wants its money, not excuses. I enjoy these shows as a kind of self-therapy even though the environments are very different. Most massage therapists work alone. They are the owner, staff, manager and investor. The outlay to start a massage practice tends to be small, and there are very few therapists who make anywhere near “six-figures” when it comes to gross income. In common, though, are some basic universal truths. The formula for success is not a secret requiring an expensive marketing class or a practice coach. It is, just like the roaches in the kitchen of a failing restaurant, right in front of a person with eyes to see. Yes, darn it, arrive on time. Be clean. Do not wear jeans. Listen to the client. If it is a return client, go over your notes before they arrive. No notes? Where are they? Why be paid professionally if you don’t practice like a professional? Do you report your cash? And yes, a warm room and a clean heart. This entry was posted in Building Your Practice and tagged classes, clients, massage classes, massage practice, massage therapists, practice-building, referrals on June 30, 2014 by Sue Peterson.